Beans as bullets', 'Vegetables for Victory' and 'Cloches against Hitler': these slogans convey just how vital gardening and growing food were to the British war effort during the Second World War. Beans as bullets', 'Vegetables for Victory' and 'Cloches against Hitler': these slogans convey just how vital gardening and growing food were to the British war effort during the Second World War. Exhorted to 'Grow More Food', then to 'Dig for Victory', Britain's 'allotment army' was soon out in force, growing as many vegetables as possible in suburban allotments, private gardens, even the grounds of stately homes. 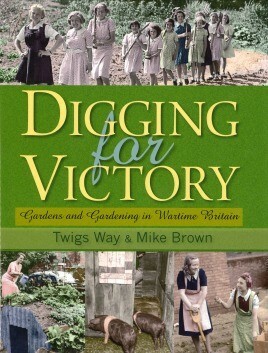 Richly illustrated with contemporary photographs and ephemera relating to the 'Dig For Victory' campaign, this expertly researched, highly engaging and informative account also includes archive images of home front gardening, garden produce and advertisements.